The Alien Detective Agency series of reading books, featuring Jack Swift and Wanda Darkstar, are for children and young adults aged 8 to 14 and over who are struggling to read. Each book has been carefully written for those with a reading age of approximately 7 to 8, but are packed full of adventure and brilliant illustrations to really grab the reader interest. Deep Space Dinosaur - Jack and Wanda are in deep space when their spaceship STEALTH develops engine trouble. 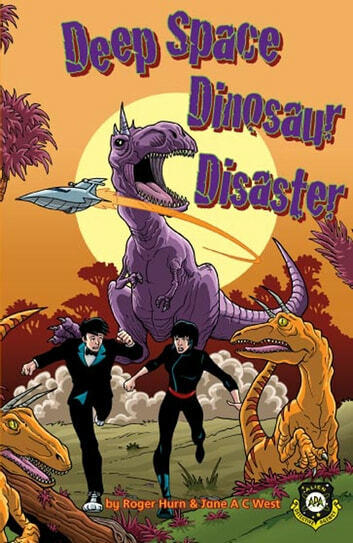 They make a crash landing on a planet where hungry dinosaurs rule and Jack and Wanda are definitely on the menu.